Keeping with the fashions, and what’s in vogue is getting increasingly hard. Especially when looking for some new handmade natural accessories. We have for you the latest jewelled glamour to style your wardrobe. And now, dear readers, let’s go straight ahead to what will be popular for 2018 in Natural Handmade Jewelry. Handmade bold yet chic jewelry is gaining its popularity both for everyday outfits and special occasions. Trending this year for Handmade Jewelry for 2018 is uniqueness. The more unique is your jewelry, the better. jewelry has been fashionable throughout the ages, but some pieces truly express our sense of self, fine artisan jewelry does this with an elegance, that lasts you a lifetime. Sterling silver & gold earrings. Just for ladies. 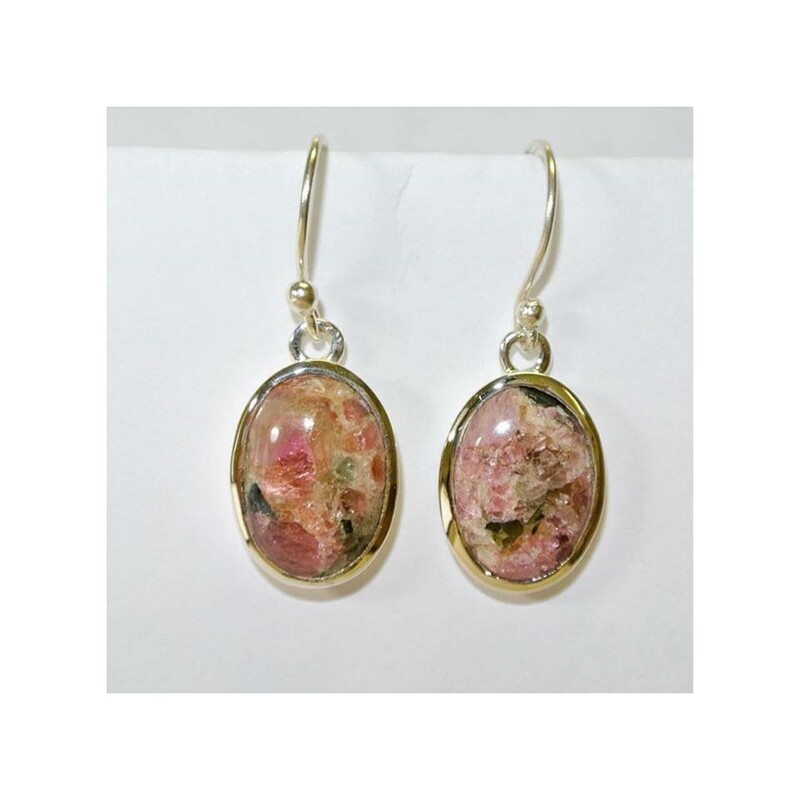 These delicate and lovely earrings These earing is made in sterling silver and 18k gold, set within is a mixture of minerals, combined with rose quartz. Handmade artisan jewelry brings you awesome accessories that, can uniquely express your, interesting style. Women’s bangles, reflecting handcrafted elegance and grace with can be set with a variety of precious and semi-precious stones, to create an ideal gift for the women in your life. Next is a slip-on style gold bracelet, set with a genuine gemstone on the tip, with a diamond on the other. 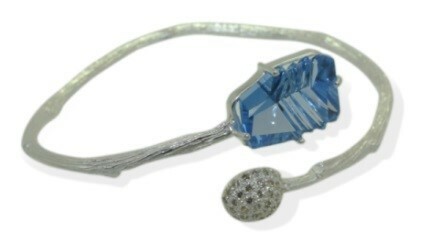 Cuff bracelet with a minimalist, a fancy cut blue topaz set in sterling silver, ending with a dome of diamonds. Images of the natural world —leaves, flowers and berries of all kinds are prominently in the jewelry items. jewelry artists from all over the world find inspiration in natural beauty on Earth. That is why nature motifs were and, probably, will remain the core idea of the handmade jewelry. 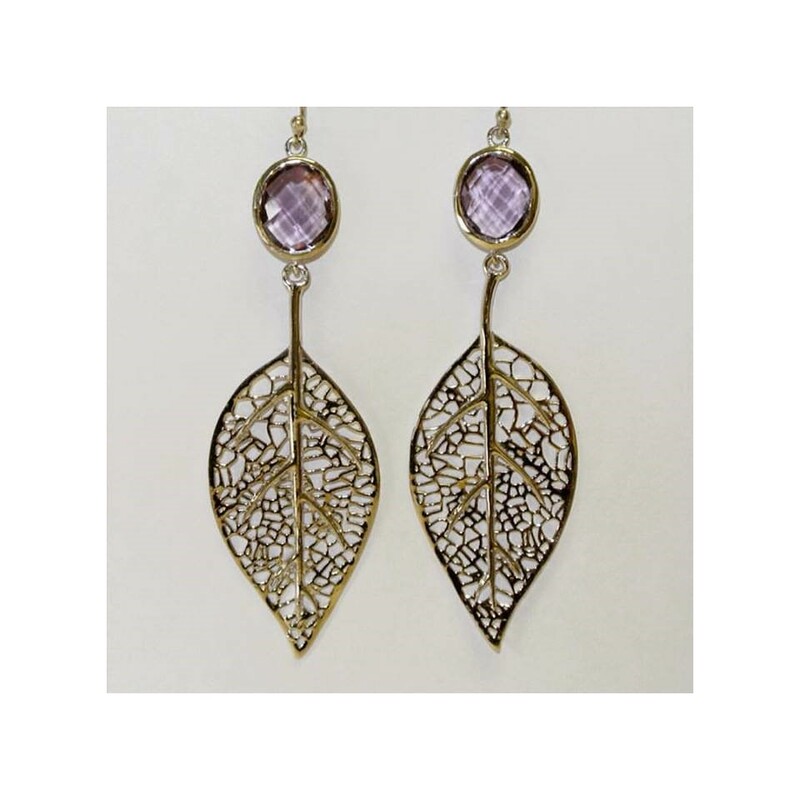 Delicately styled pair of earrings, displaying the vines of leaves, come together with an Amethyst, resonate the beauty of the natural world. Mimicking a delightful berry branch, making a perfect gift for any nature lover. Uncut minerals have always been around in jewelry, time over time, we can’t get enough, back in vogue, with yet another spin on the beautiful, sparkling minerals the Earth has to offer. Statement necklaces, big earrings, bracelets and rings. All this is in trend for summer and will increase its popularity even more in 2018. Big bold statement jewelry is an easy way to style and personality to your favorite outfit. These unique and modern pieces will instantly glamorize any of your wardrobe items. 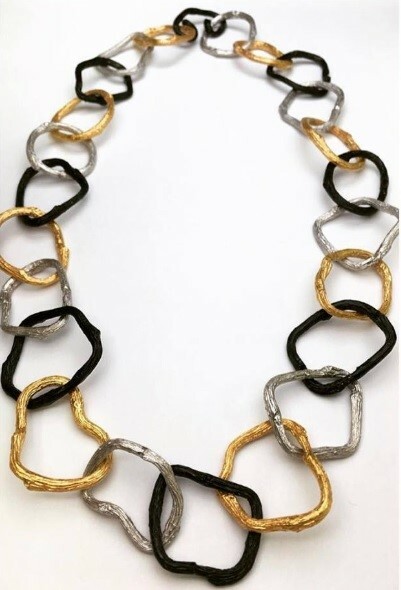 With a touch of boldness, a neck piece made with, 18k gold link, along with silver and blackened silver links, join together to create a very chic and daring necklace. 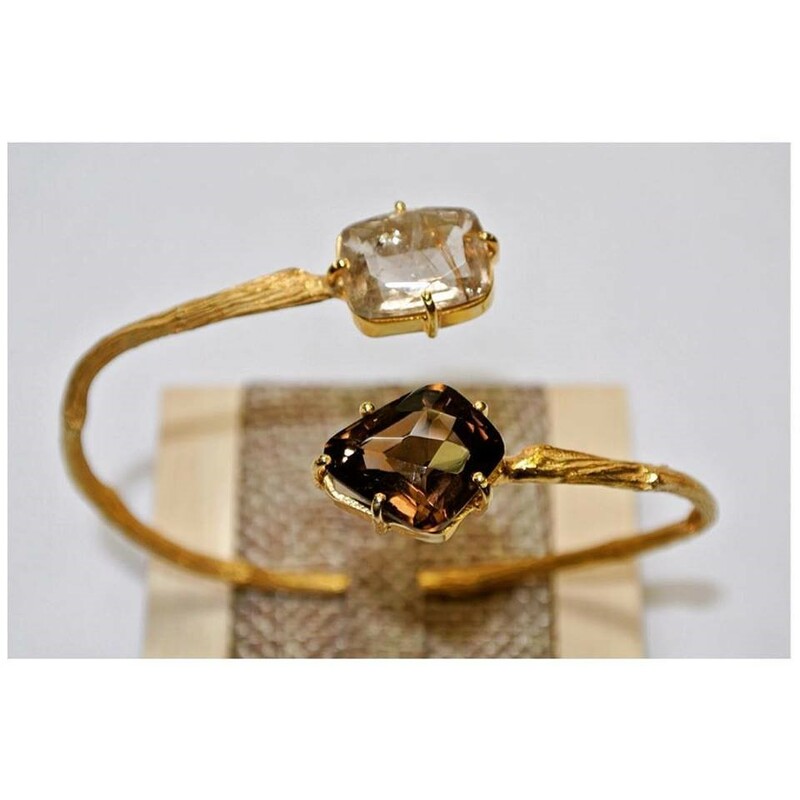 The swinging seventies are back in jewelry design, this year, arm cuffs that wrap around your wrist and hand are becoming popular items again, chunky armlets are definitely hottest accessories in 2018. Such stunning jewelry would put anyone in the mood for some retail therapy, now that you know what the newest trends in jewelry for 2018. Invest in a piece, freshen up your style and stay in vogue. If you are searching for inspirational jewelry , check our collection, filled with unique trendy jewelry. Visit our website; www.neetagupta.ca – there is something for every taste.